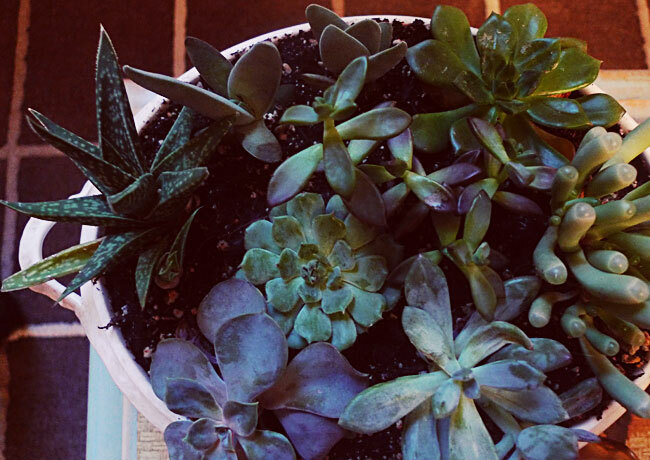 After admiring countless succulent gardens online, I finally tried my hand at my own. 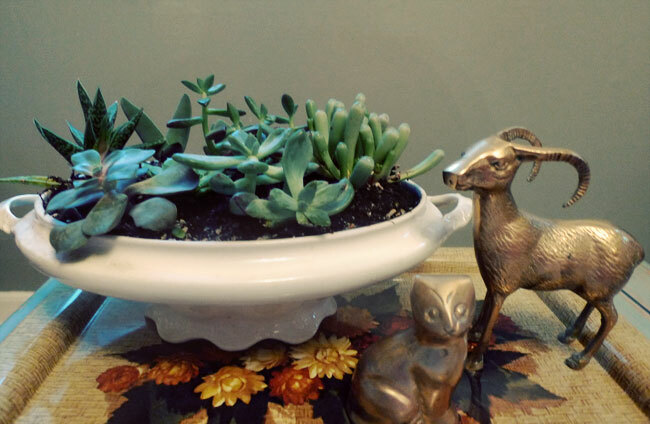 I got 8 tiny succulents (from Home Depot) and planted them in an antique soup tureen. I love how sweet it looks! 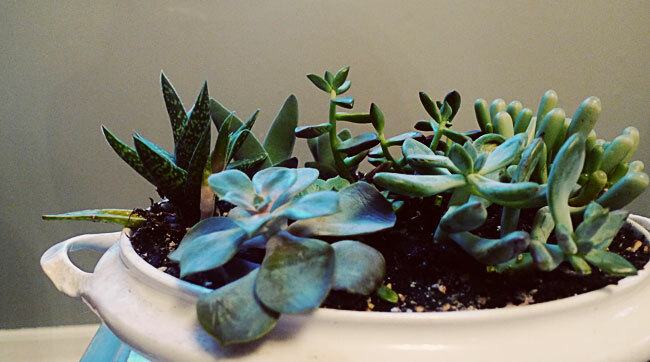 Now if I can only manage to not kill the little darlings.